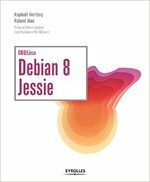 With Debian’s 19th anniversary approaching, I thought it would be nice to look back at dpkg’s history. After all, it’s one of the key components of any Debian system. Currently the dpkg source tree contains 28303 lines of C, 14956 lines of Perl and 6984 lines of shell (figures generated by David A. Wheeler’s ‘SLOCCount’) and is translated in 40 languages (but very few languages managed to translate everything, with all the manual pages there are 3997 strings to translate). I would like to point out that those statistics are not entirely representative as people like Ian Jackson (the original author of dpkg’s C reimplementation) or Scott James Remnant were important contributors in parts of the history that were recreated by importing tarballs. Each tarball counts for a single commit but usually bundles much more than one change. Also each contributor has its own habits in terms of crafting a work in multiple commits. Last but not least, I have generated this 3 minutes gource visualization of dpkg git’s history (I used Planet’s head pictures for dpkg maintainers where I could find it). And what about you? You could be the 147th contributor… see this wiki page to learn more about the team and to start contributing.